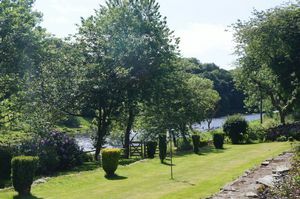 We are delighted to offer to the market this superior property nestled in a countryside location right next to the River Don. 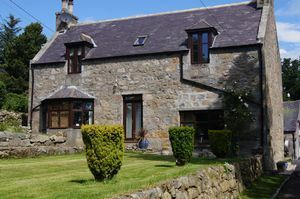 Mill of Dyce Farmhouse offers exceptional country living and privacy but has great links to the city and is only a short distance from the airport and industrial sites at Dyce. 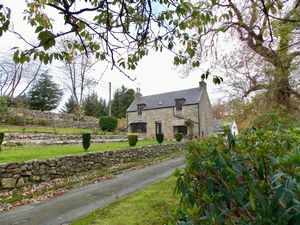 The u shaped converted farmhouse offers accommodation on a grand scale and benefits from double glazing and oil central heating. The layout offers everything required for modern family living and the large converted garage could be adapted for many uses. 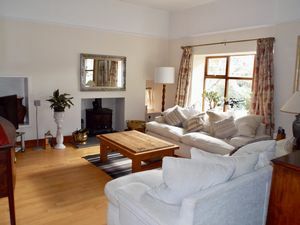 The accommodation comprises of :- GROUND FLOOR Entrance porch, Sitting room, Formal lounge, Study / Bedroom 6, Kitchen / Dining area, utility room, Shower room, boiler / boot room and Store. FIRST FLOOR Master bedroom, En suite/Juliette bathroom & dressing area, Guest bedroom, and 3 Further bedrooms. 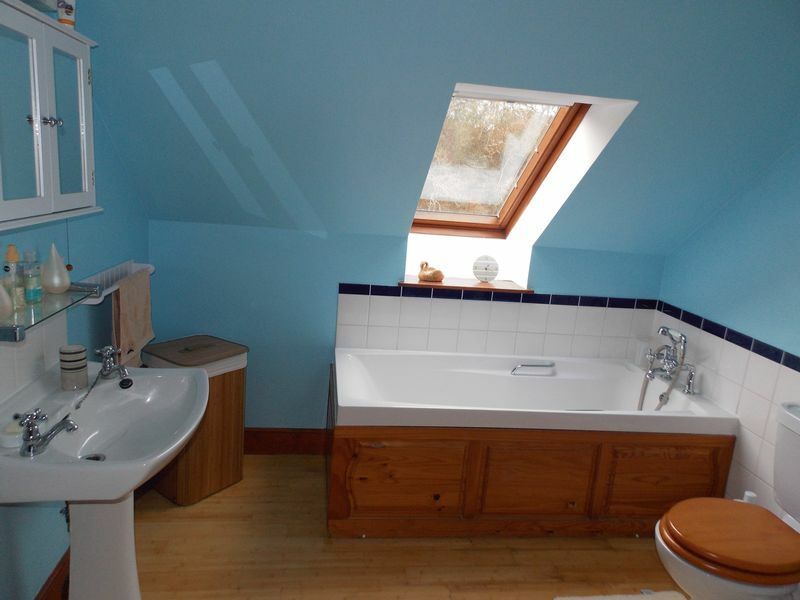 There is also a separate family bathroom. 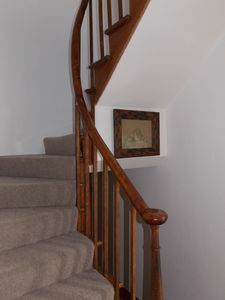 There are two staircases, one at each end of the property. 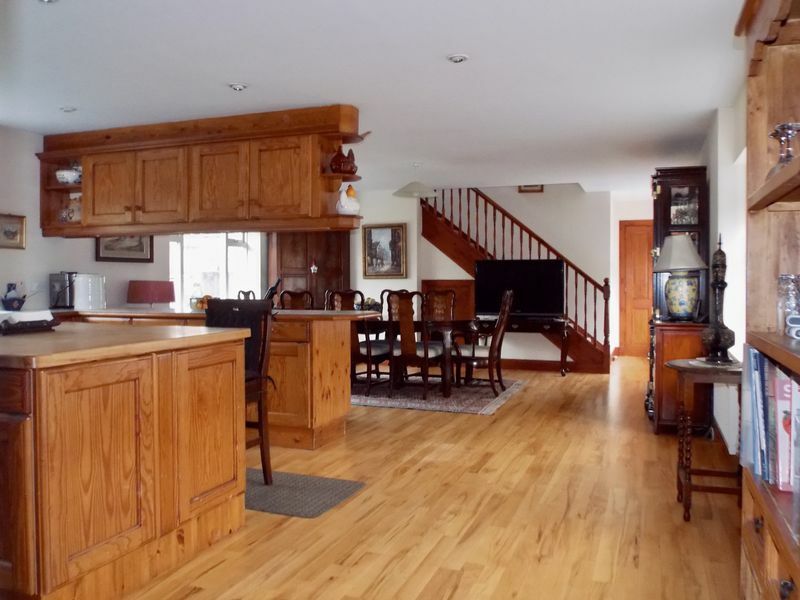 There is a linked garage of very large proportions with up and over door, power and light. 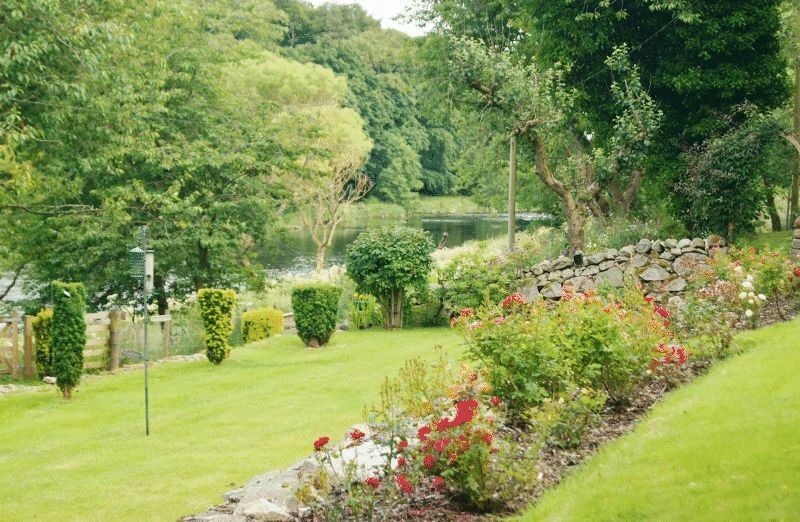 The landscaped gardens offer areas of lawn, patio areas for sitting and alfresco dining. 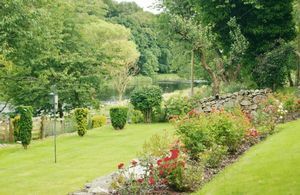 There are raised beds stocked with mature shrubs and plants, dry stone dykes, an orchard and a greenhouse. There is a tarred drive with parking for several cars. There may also be additional land for sale by separate negotiation if required. LOCATION Dyce is a well established suburb of Aberdeen lying just six miles north west of the city. The area is well serviced by Rail and bus links and provides a range of shops, supermarket, health, leisure and recreational facilities. There are good primary and academy schools and the international airport is close by. DIRECTIONS Leaving Aberdeen via Great Northern Road continue through Bucksburn and onto the A96. Take the Craibstone turning at the traffic lights towards the airport. Continue past the airport turning and shortly after the sign for Overton turn left onto Pitmedden Road following signs for Dyce churchyard. Continue to follow signs for Dyce churchyard. Continue to the end of the road (overlooking the converted Cothal mill on the other side of the river.) 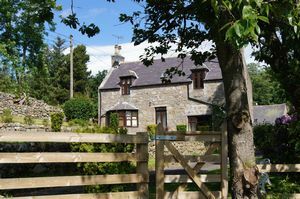 At the end of the tarred road enter the lane marked Mill of Dyce and follow this track down keeping the river on your left hand side. 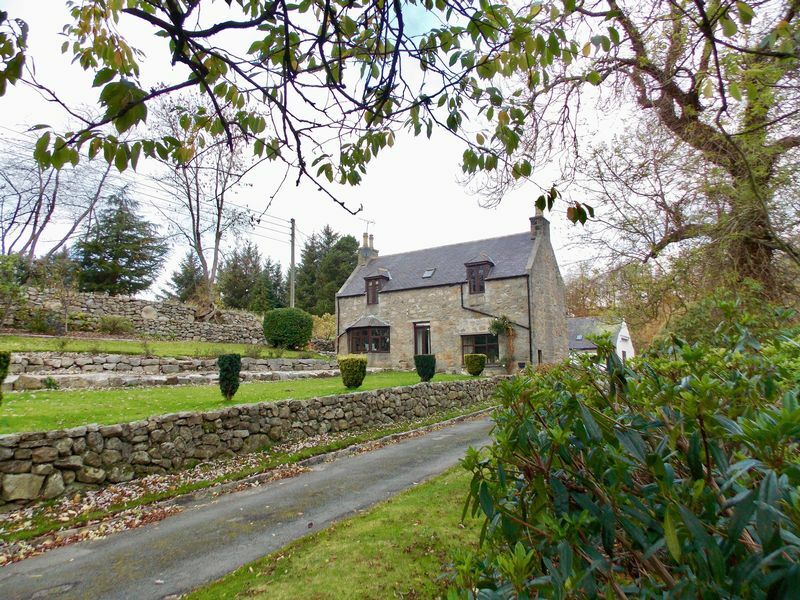 You will then pass Mill of Dyce cottage on your left hand side . 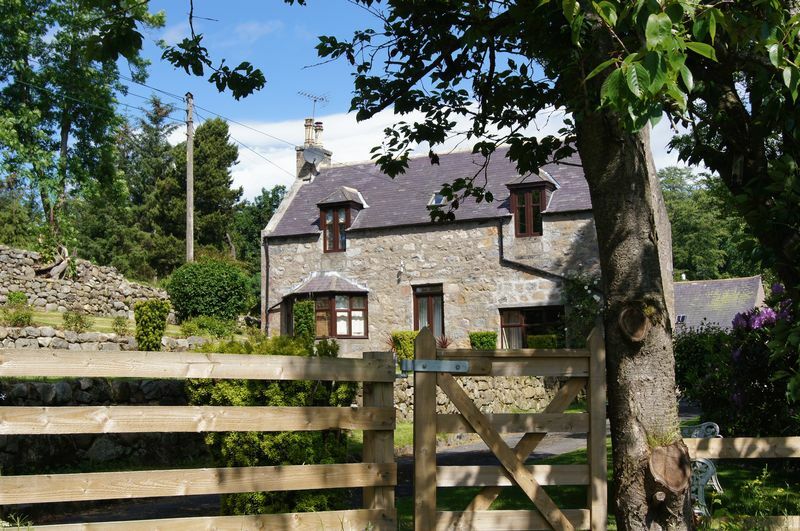 Enter the access gate to Mill of Dyce Farmhouse. Do not use the satanic directions as they will guide you to Mill of Dyce Farm. 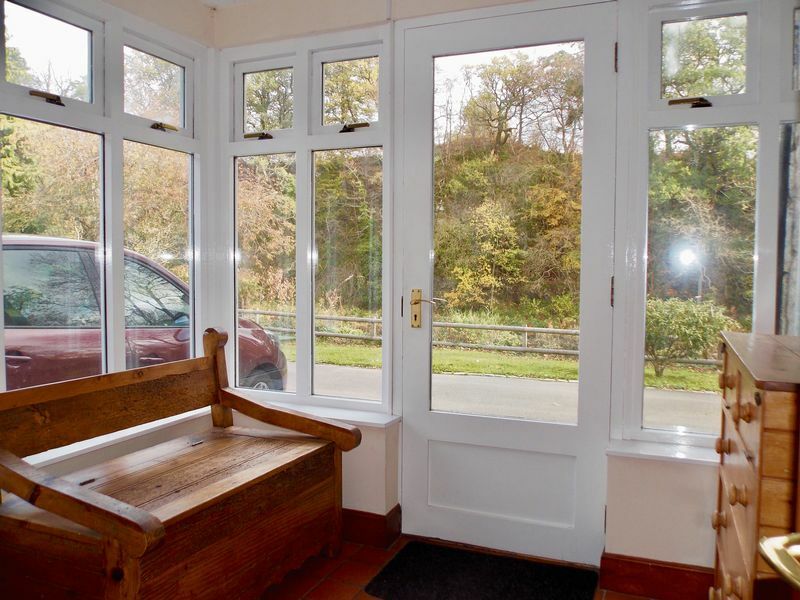 This welcoming porch to the side of the property has glazed windows on 2 sides with area for storage and seating offering views across the river. It floor is fully fitted with ceramic tiling. This hallway in the original part of the farmhouse leads to the main stair. 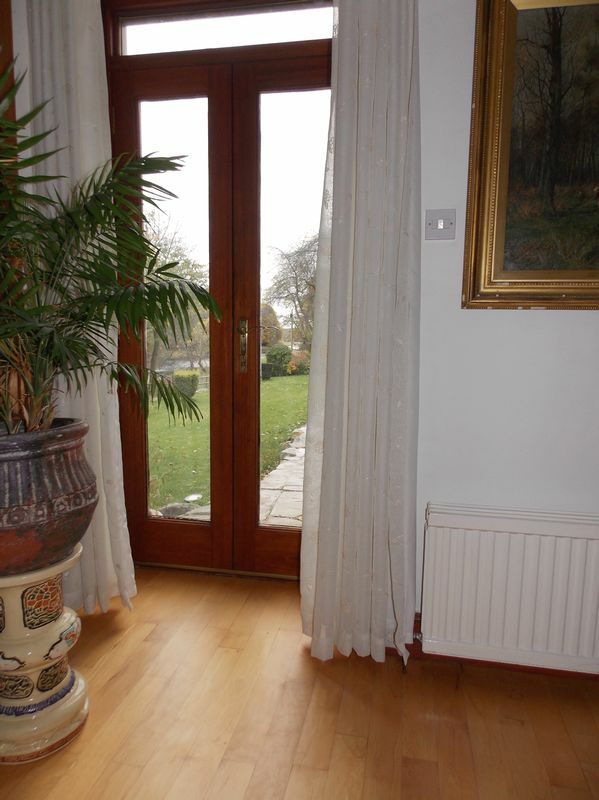 There are double doors leading to the front garden and solid wood flooring. 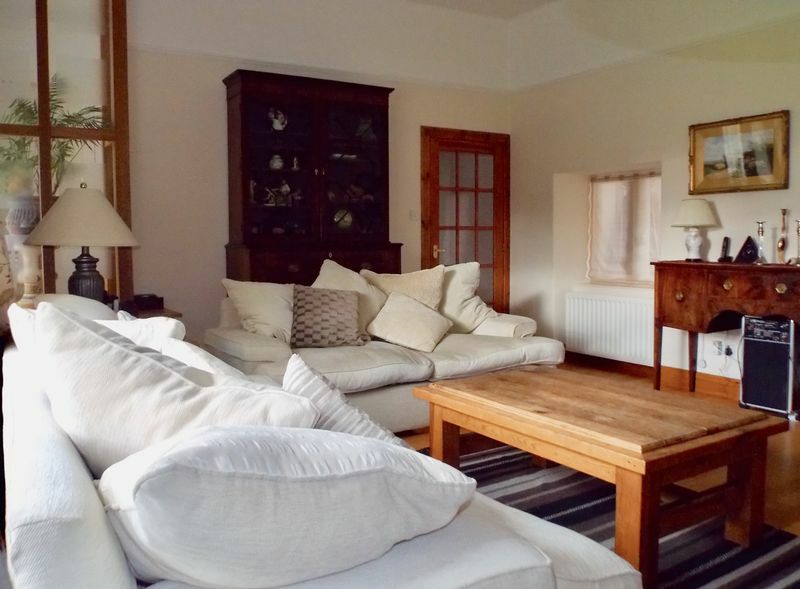 This is a welcoming cosy space currently used as a sitting room. It has a window to the rear of the property with deep sill, feature alcove and solid wood flooring. 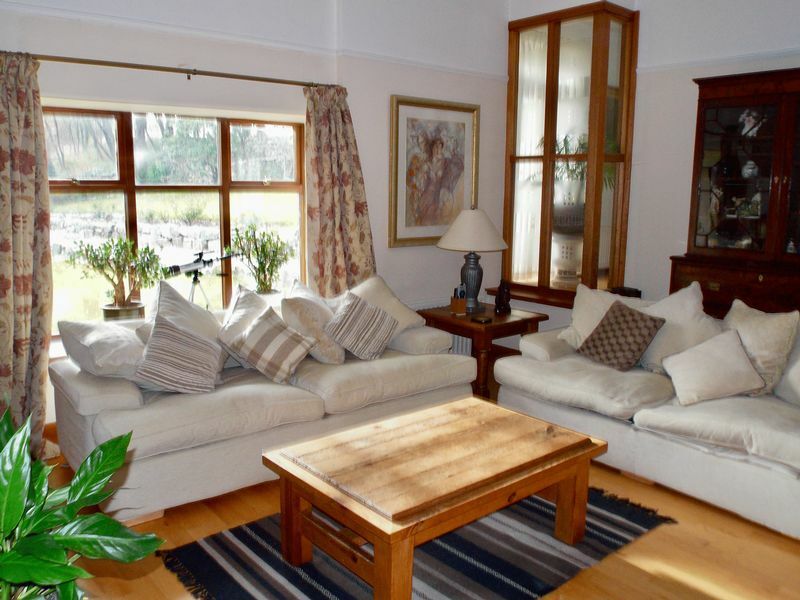 This is a superb room of great proportions with large window allowing plenty of natural light. There are stunning views over the terraced front garden and the river. 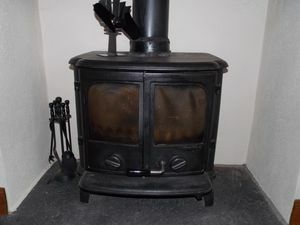 It has an inset fireplace with multi fuel stove and slate hearth. This room has such character with the small low level deep set window to the side and it’s feature decorative glazed panel to the corner letting in extra light from the hall. 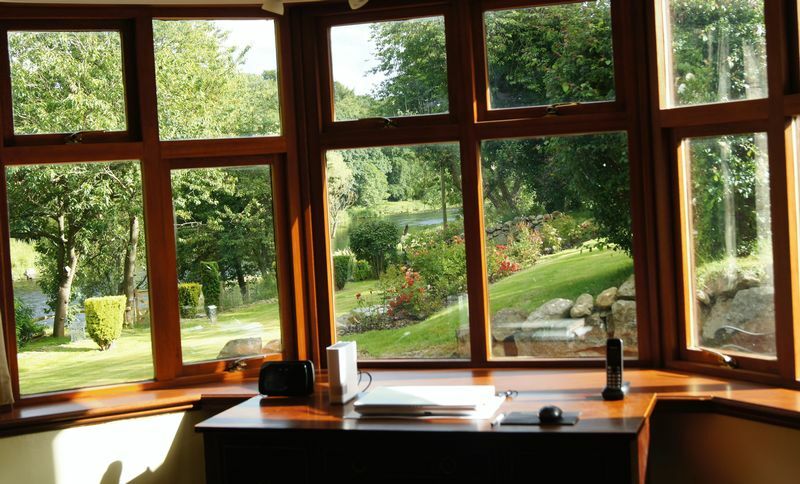 There is also a recessed shelf and the floor is fitted in solid natural wood. 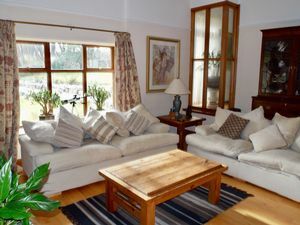 This is another lovely south facing room with a large open bay window letting in ample natural light while again providing that stunning view of the river and the terraced garden. 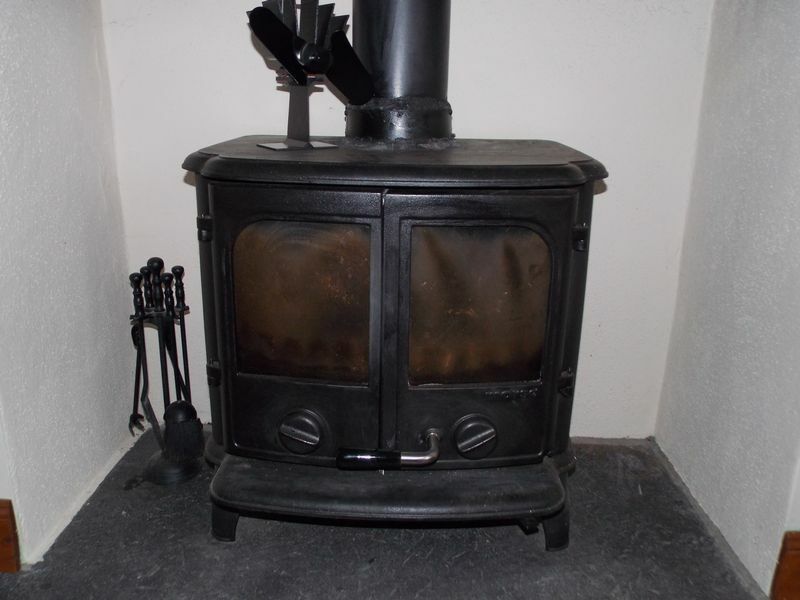 It has a red brick open fireplace, wooden skirtings and a fully fitted natural carpet. 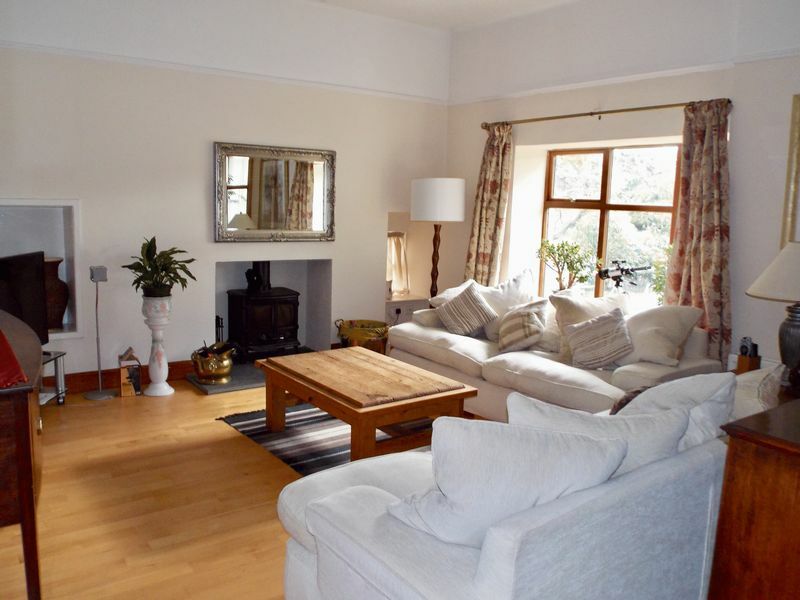 This absolutely stunning space is what you dream of in any family home. 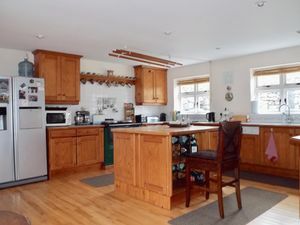 There is ample space for cooking,dining and relaxing and the six windows to the front and back of the property with deep sills means that it is flooded with natural light.S Kitchen Area (5.30m x 4.51m) Fitted with a large range of wall and base units in Honey Pine with pale tiled work surfaces. 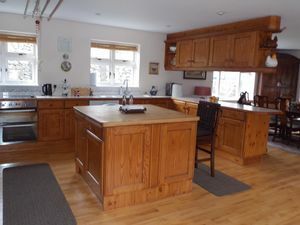 There is a superb island unit with storage, area to sit and a solid wood preparation top. The white ceramic double sink has drainer and chrome mixer tap. If you are cooking on a grand scale, then this kitchen is well equipped with oil fired aga range cooker, Bosch convection oven with ceramic hob and separate two ring induction hob. The American style fridge freezer with ice maker, Neff semi integral dishwasher and solid wood flooring complete this superb kitchen. Dining Area. 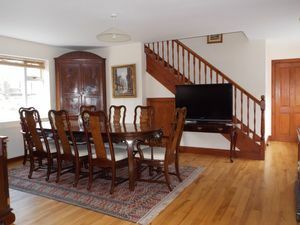 This formal dining area has ample space for a very large dining table and accompanying furniture, just right for those dinner parties and family get togethers. The second carpeted staircase leads to the upper floor, it is decorated in neutral tones and finished again with the solid wood flooring. This is accessed from the kitchen / dining room and is fitted with solid wood flooring. 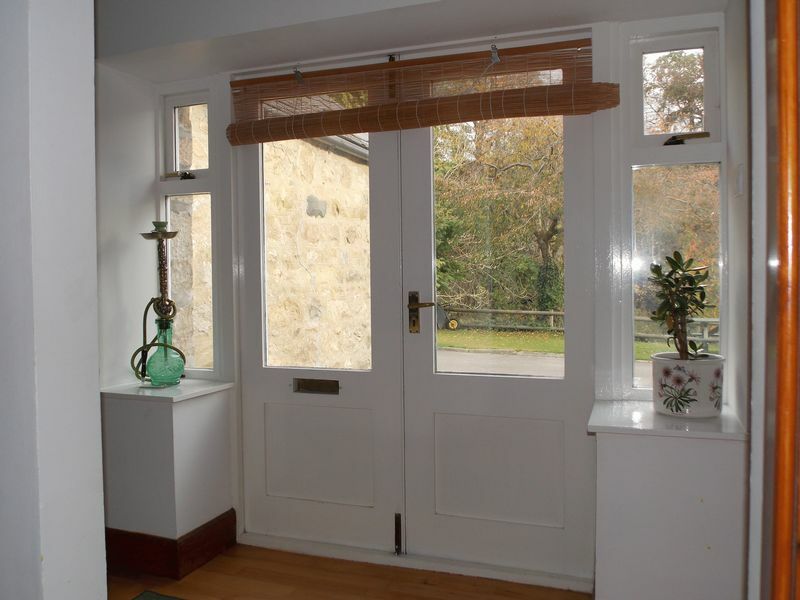 There are double half glazed doors leading out to the front of the property. 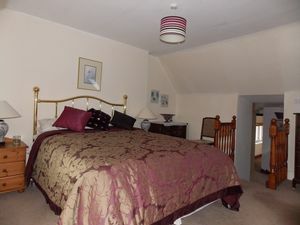 It gives access to the utility room, shower room and stores. It also provides access to the double garage. This is a very useful downstairs shower room fitted with a 3 piece suite comprising of WC, Corner glazed cubical with chrome mixer shower, and wash hand basin. There is extraction fan and wooden flooring. 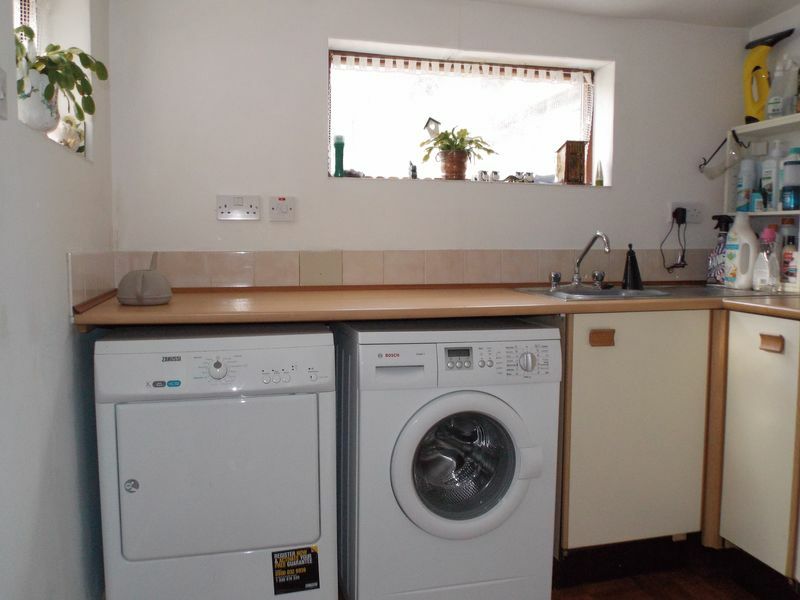 This is a good sized utility room reached up two steps off the rear hallway. It is fitted with cream base units, beech style worktops and stainless steel sink with mixer tap and drainer. There are fitted wall shelves and room for washing machine and tumble dryer. 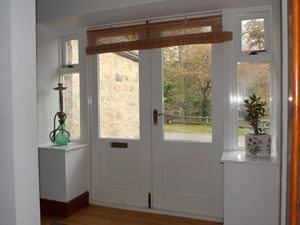 The glazed PVC door leads out to the rear garden. 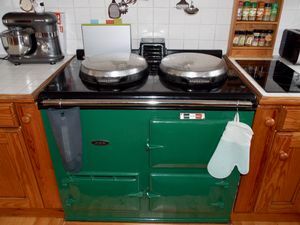 Housing the central heating boiler and hot water tank this is a fantastic warm space ideal for storage or airing and drying. 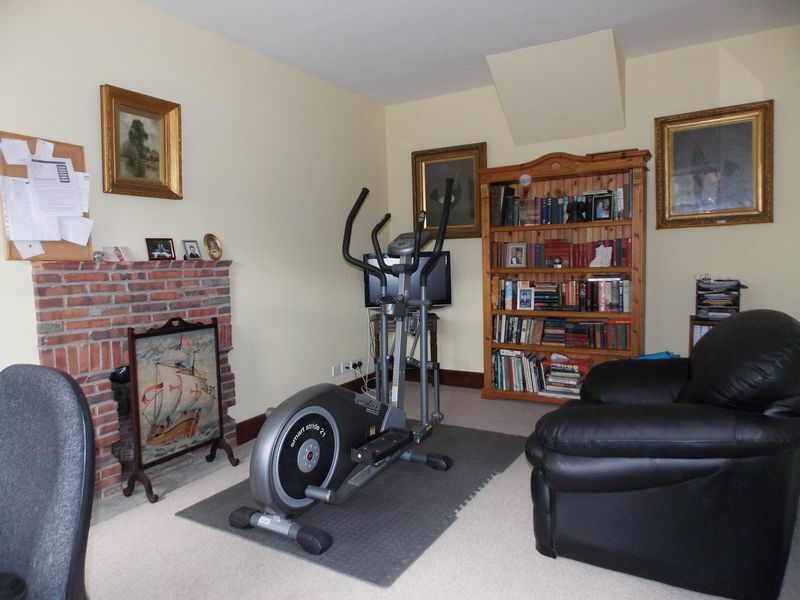 This is a great storage space and is fitted with rack shelving. 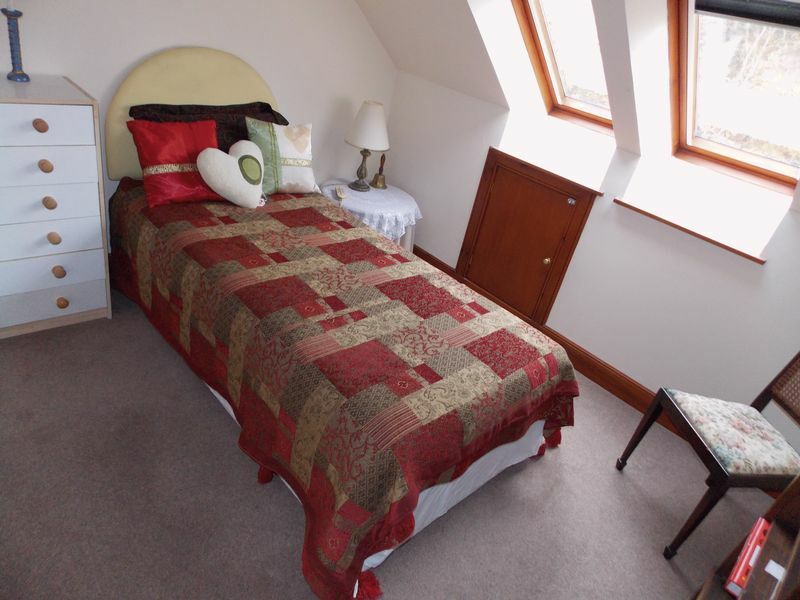 A spacious double room with a window overlooking the front garden. The stairs lead down to the dressing area. 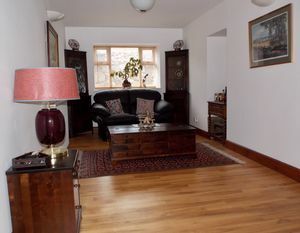 There is a fully fitted natural carpet. 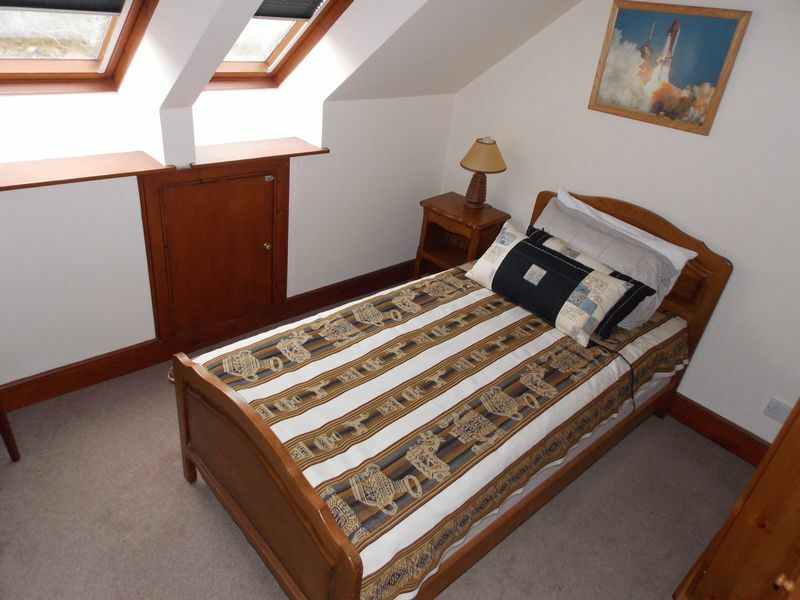 A spacious double room with window overlooking the front and a Velux with integral blind to the rear. There is a shelved alcove cupboard and fitted natural carpet. 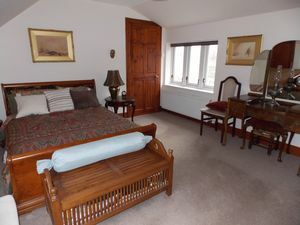 Entered via a carpeted stair leading from the master bedroom it has modern fitted wardrobes on both sides and room for a dressing table. There are two Velux windows and fitted neutral carpet. 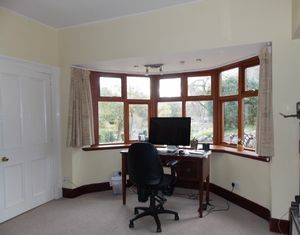 This is another good sized room that has two Velux windows to the front with integral blinds. 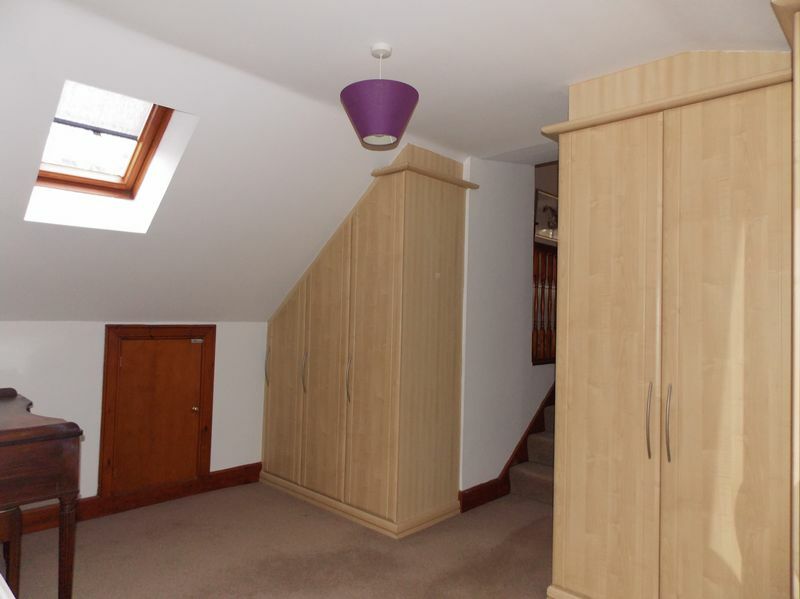 There is a storage cupboard and neutral fitted carpet. 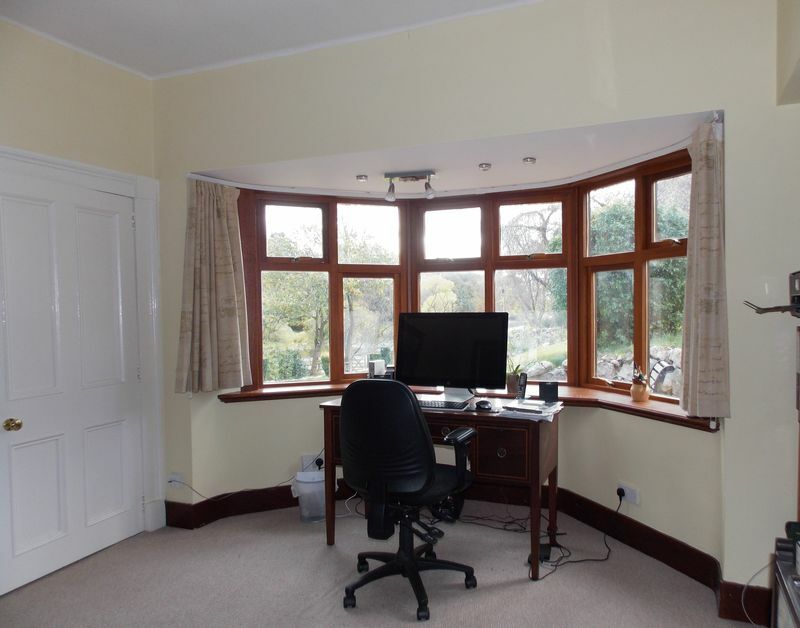 A bright spacious room with two Velux windows and integral blinds, storage cupboard and neutral fitted carpet. A large double room with window to the back with views of the garden and a Velux to the front. It is decorated in neutral tones and has a fitted carpet. 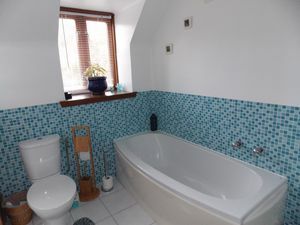 This bright spacious family bathroom has a Velux window to the front of the property and is fitted with a four piece white suite consisting of Bath with chrome mixer tap and hand held shower, corner shower cubicle, push button WC and wash hand basin. 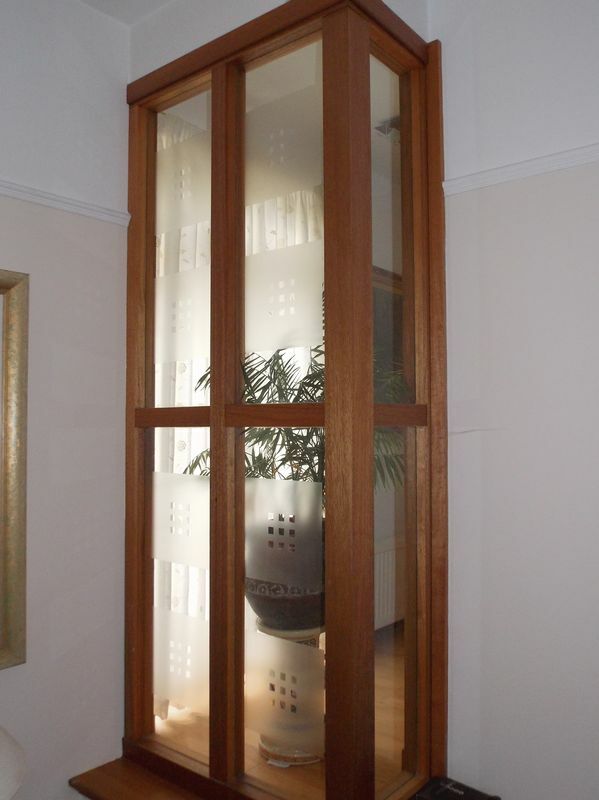 It is partially tiled, has a mirrored cabinet and bamboo flooring.